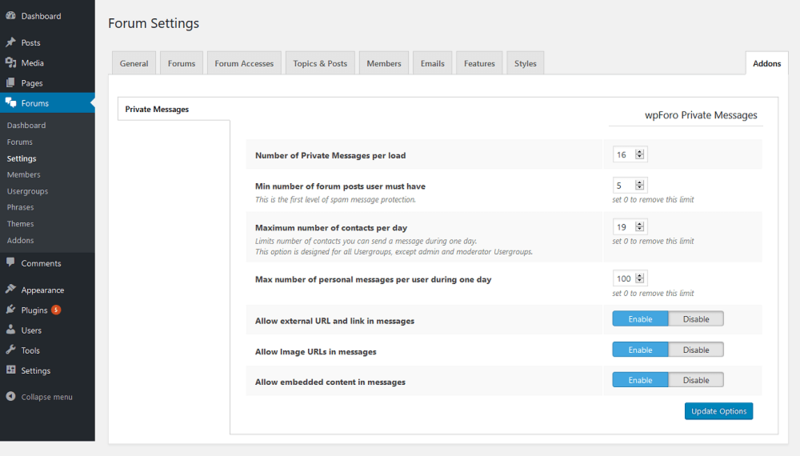 wpForo Private Messages addon settings are located in Dashboard > Forums > Settings > Addons Tab > Private Messages subTab. 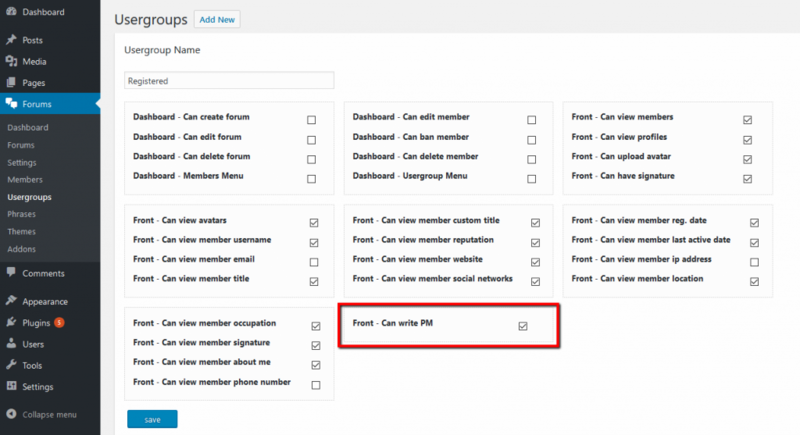 This error message is displayed in any cases if users reach limits or they are not allowed to write a message. 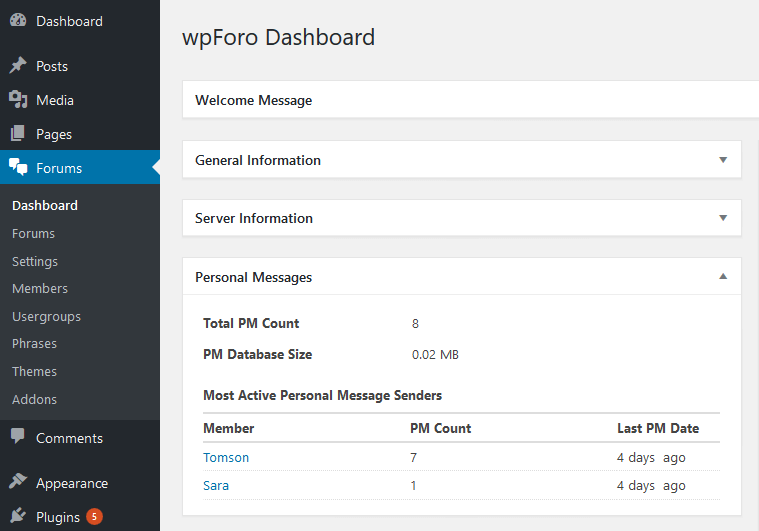 You can see Total number of PMs, PM database size and 10 most active PM senders in wpForo > Dashboard admin page.